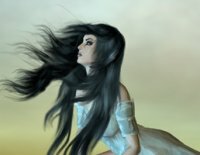 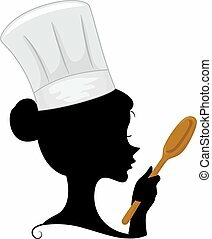 Female chef art illustration silhouette. 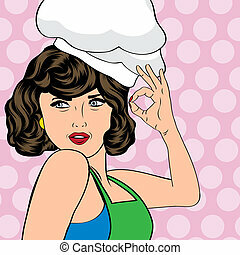 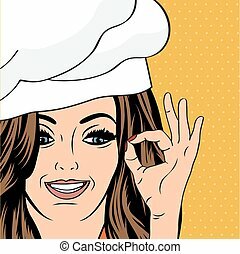 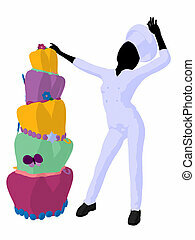 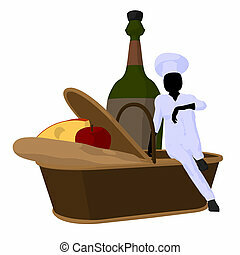 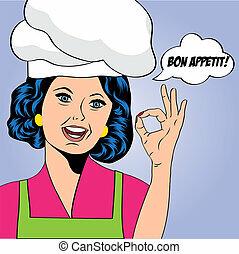 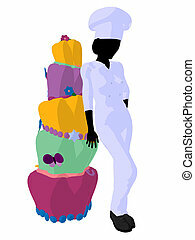 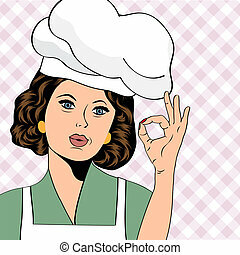 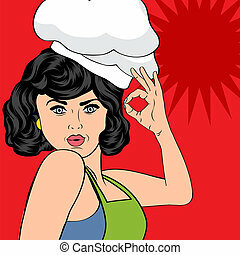 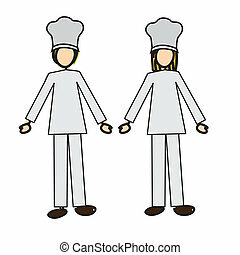 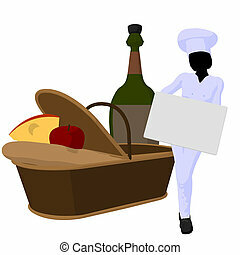 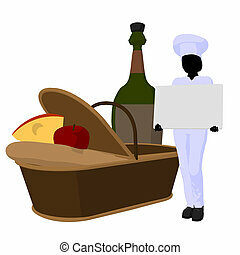 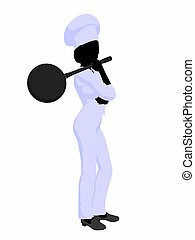 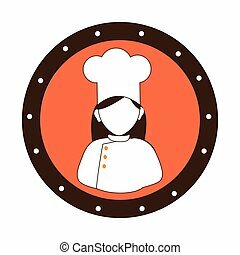 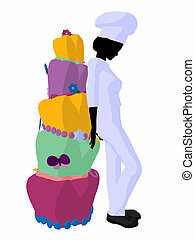 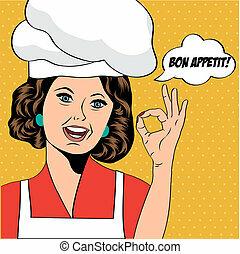 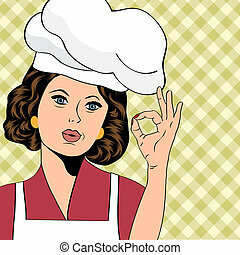 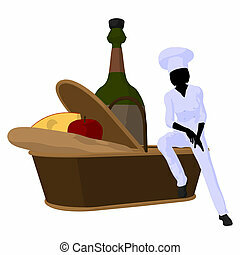 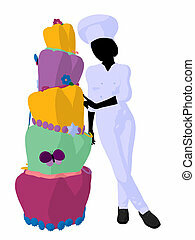 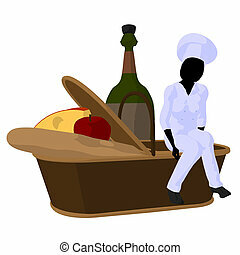 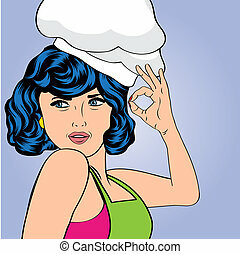 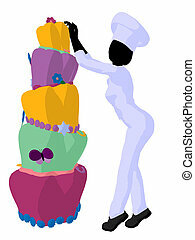 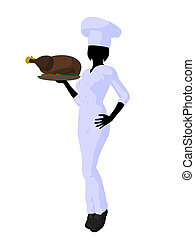 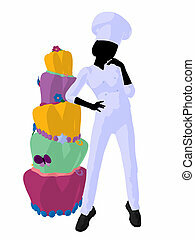 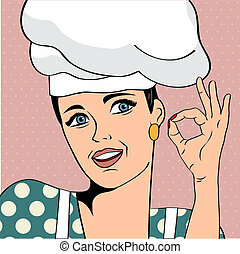 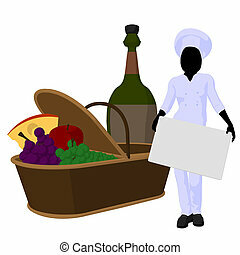 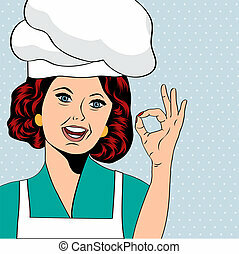 Female chef with a takout food container silhouette on a white background. 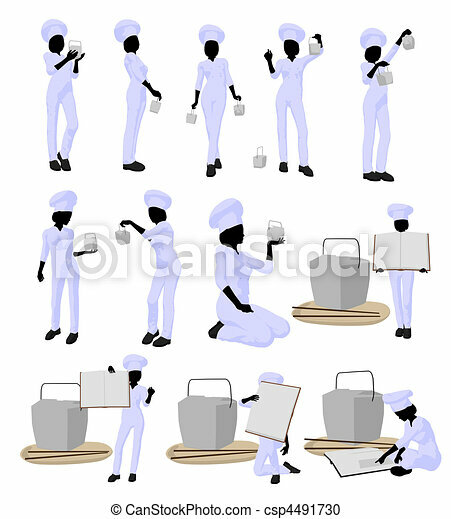 A female server in an apron and chef hat serves a serving tray with food and wine.